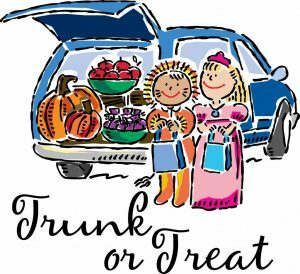 October 28, 2018 ~ 4:30 – 6:00 p.m.
Help us welcome our Midtown neighbors by setting up your TRUNK & TREATS! We need everyone to outreach in their own unique way and with their Saint Paul’s Sunday School buddies, lay team friends, and pew neighbors! 3:30 – Trunk Set-UP – SIGN UP YOUR TRUNK HERE! Free hot dogs & lemonade and Kona Ice Truck available. Trunk Contest and more! Please sign up your trunk… and THANK YOU! Contact Mayra Joiner 0r Jill Merryday for more information.